Heat waves in Chicago are anything but fun. If you’re like us, you’ll do just about anything during the summer to beat the scorching temperatures. 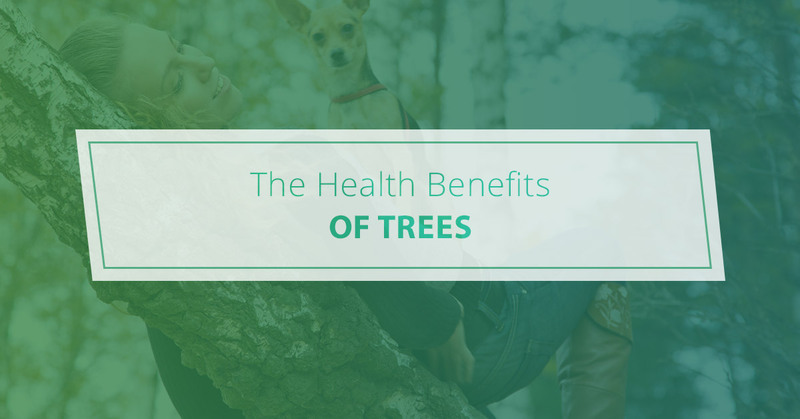 But did you know that trees in the U.S. play a vital role in keeping temperatures down? In the same US News article, Rob McDonald of the Nature Conservatory explains that the average reduction is several degrees Fahrenheit in the summer. So a tree’s cooling ability could be the difference between someone staying healthy when it’s hot or getting heat stroke. Come summertime, do what you can to stay under a tree’s canopy while outside for an extended period of time. It’s proven that green spaces typically boost physical activity and social connection while simultaneously lessening depression. There’s also the inherent stress reduction effects of Mother Nature in general. Basically, the more greenery and vegetation we have, the more positive our bodies respond. The effect of environmental changes on public health is interesting. Consider the following example that involves the deadly Emerald Ash Borer. Over the course of 17 years across a 15-state area, more than 15,000 additional deaths from cardiovascular conditions occurred. It’s also worth mentioning that the study found more than 6,000 other deaths related to lower respiratory disease. Interestingly, wealthier counties showed the most serious health consequences from the EAB infestations. It’s no wonder nitrogen dioxide is considered one of the leading air pollutants identified by the Environmental Protection Agency. With that in mind, Portland State University recently conducted a study that looked at nitrogen dioxide levels and residents’ respiratory health by area. The results were fascinating. First, keep in mind that children in higher-tree areas were estimated to have avoided missing more than 7,000 school days a year because of asthma attacks. In addition, emergency room visits due to the condition were reduced annually by about 50 visits among everyone. So yes, trees can be a respiratory system’s best friend. Have you ever been curious about the ideal natural sleep environment? For example, do people sleep better near bodies of water or with a certain exterior temperature? This is what researchers looked at in an extensive national study that included more than 250,000 adults. They concluded that green space (trees, bushes, other plants, etc.) helped protect men of all ages and older adults from insufficient sleep. You would do everything within reason to keep your tree healthy and thriving. Where many homeowners make a mistake, though, is taking tree care into their own hands. The fact is that both tree trimming and tree pruning require the utmost precision. Believe it or not, one mistake could spell disaster for the long-term health of your tree. That’s why we recommend leaving such maintenance in the hands of a professional. Chicago residents have trusted Pro Tree Service for nearly 30 years. Licensed, bonded, and insured, Pro Tree makes the process easy and stress-free from start to finish. That’s often the very first question we get from customers. While every project is different, you can feel comfortable knowing Pro Tree is committed to providing the best solutions at the most competitive rates through what we call our Best Price Guarantee. Here’s how it works. Before hiring a tree care company, shop around and get multiple estimates. Then come to us with reasonable, written estimate and we will match or beat it by 10 percent. It’s that simple. With Pro Tree, there are no gimmicks or hidden fees. As opposed to local competitors who only care about getting paid, we believe in transparency and treating customers like family. Experience the Pro Tree difference. Contact us today to get started.